Pinterest; both a blessing and a curse. I started my evening off with a slightly varied version of a "clean eating" cookie recipe I pinned earlier this week. What I ended up with were cookies that looked like cow pies and tasted like hippies. After the 3rd (maybe 4th) cookie, I realized that eating more of them wasn't going to make them taste any better, so I retired to my room to do some more pinning. That's when I stumbled upon these adorable floral paper straws. I clicked through and found the wonderful world of Emerald + Ella. Emerald + Ella is based in Australia and was started by Jane, a recipe writer & food stylist. If you're a lifestyle blogger, or are infatuated with paper straws (like I am) you're gonna love this site! 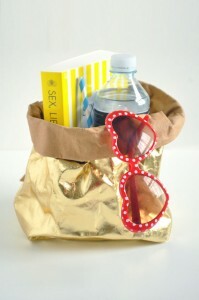 They carry gorgeous & trendy paper goods, party supplies, house wears, and vintage garden items. They carry 28 lovely variations of the paper straw including grey chevron straws & pale green polka dot straws. I can't decide which one I like more: the olive green polka dot paper cups or the striped paper cups. I love everything neon, therefore I love this neon twine. It also comes in pink and orange. And then there are these washable paper bags. I can't tell you exactly why, but I'm pretty sure I need them. Also, they're shiny.